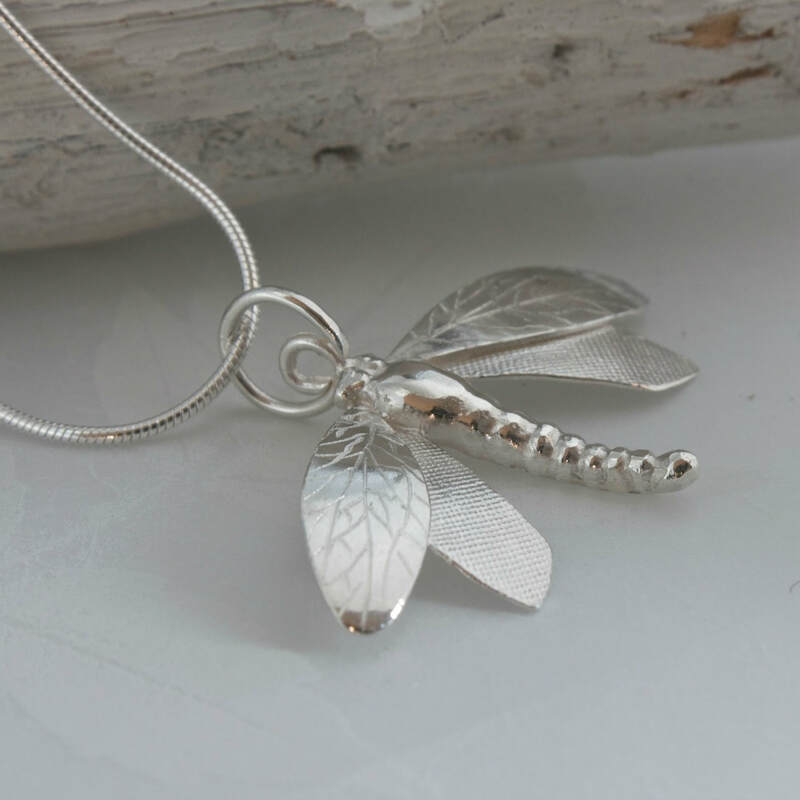 Caroline is a craftsman/jeweller based in the Surrey Hills. She makes delicate organic jewellery inspired by nature. 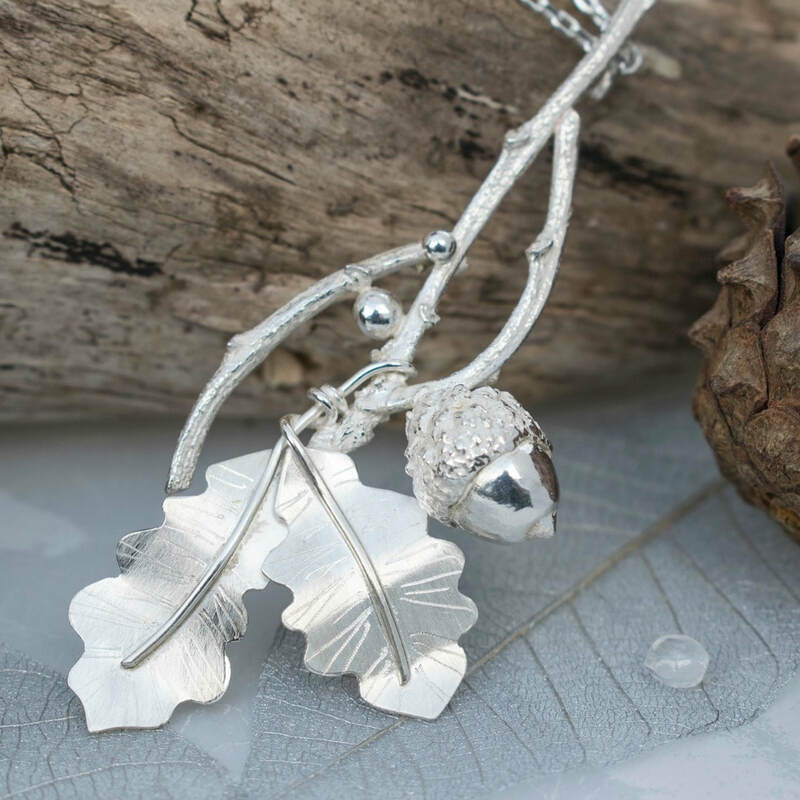 her work and have inspired her collections of leaves, flowers and small creatures. 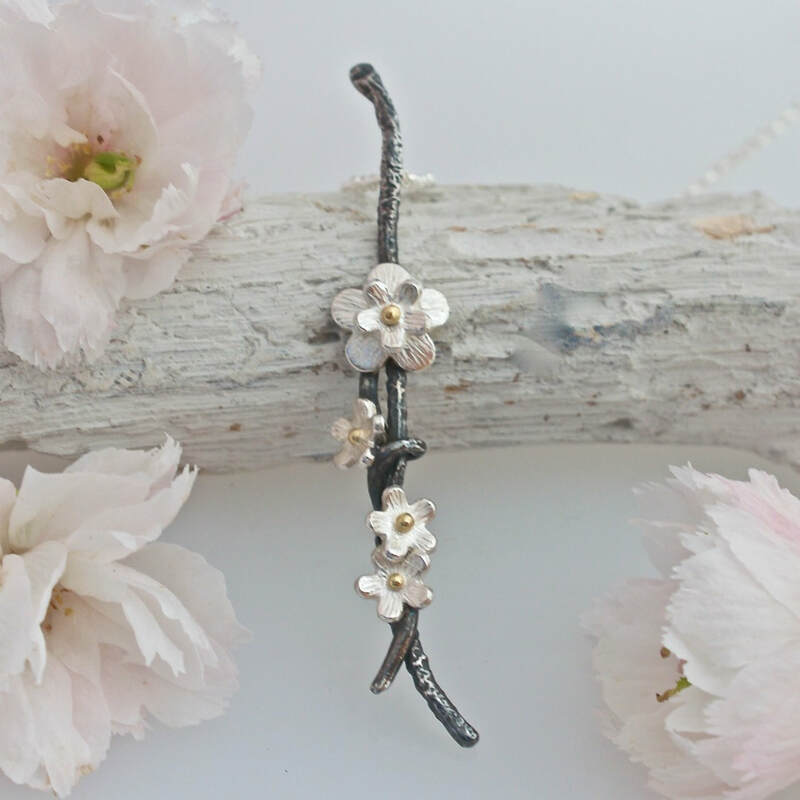 She combines traditional goldsmith skills to sculpt and create enchanting pieces, often working with found organic treasures such as twigs and acorns to preserve their natural precious form. 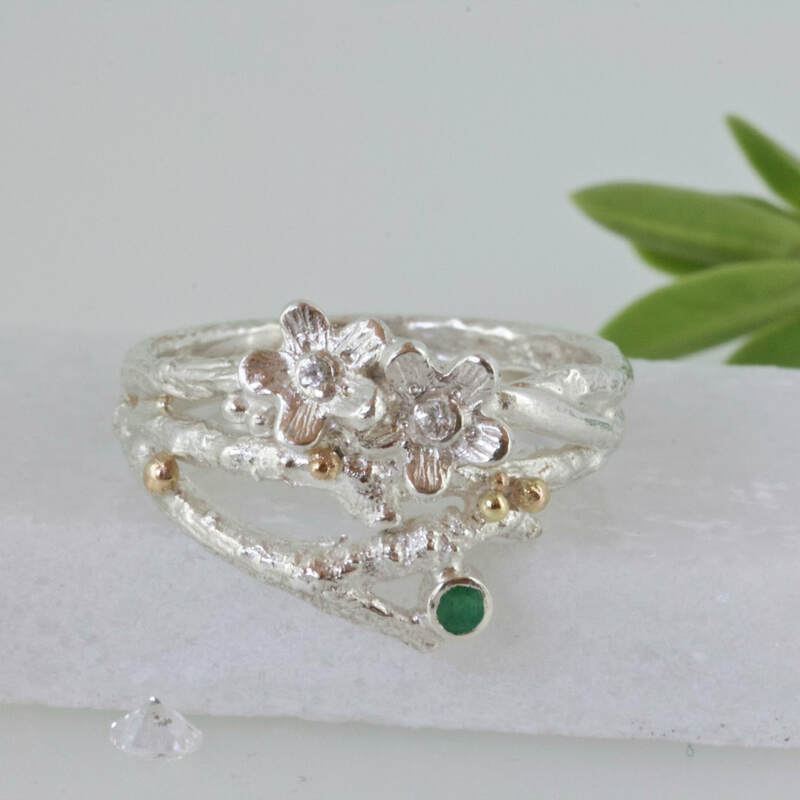 with patination and precious gemstones resulting in enchanting creations to treasure.